Botox is a popular esthetic procedure used to reduce the appearance of aging that’s now available by local dentists, like Piney Point Oral and Maxillofacial Surgery. Over the last 20 years, the injections have risen in popularity due to the effectiveness of easing the appearance of facial fine lines and wrinkles. 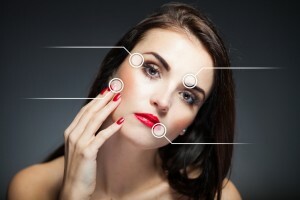 Using botulinum toxin, a purified protein, which is injected into facial muscles and attaching to nerve endings, the contracting of muscles is decreased to promote a younger-looking appearance. The safe and effective treatment produces results in as little as three days for a youthful look. However, the injections can also be used to treat certain oral conditions. While many think about oral health when visiting a dentist, roughly 7 to 8 percent of dentists in North America have now extended their services to include the injections. Most often, patients seek to have the facial wrinkles of the forehead, between the eyes, crow’s feet, and near the mouth injected with the protein to help reverse the hands of time. In some cases, Botox is also used to help treat the symptoms of TMJ and bruxism by relaxing the muscles. When used for these reasons, the severity of the muscle contractions that cause pain and discomfort are decreased to reduce or eliminate the facial pain. When considering the treatment for esthetic and oral condition reasons, many are concerned about the Botox pain level or recovery. You’ll be happy to learn the procedure and recovery is very mild and produces little discomfort. While the injections are safe and effective, not everyone is a candidate, so you’ll need an evaluation from an oral and maxillofacial specialist. If you’re a candidate, your skin is often numbed prior to the injections to lessen any discomfort using a topical anesthesia. Then, tiny needles will be inserted into the skin to inject the purified protein. The number of injections used will depend on the extent of your treatment, as well as the number of areas being treated. In just a few minutes, your treatment will be complete, at which point you can resume normal activities. There is typically no recovery time after Botox, but you will need to be careful to avoid rubbing the treated areas so the protein stays in place. If any pain or discomfort occurs, you can take over-the-counter pain medications or anti-inflammatories to reduce discomfort. Some people do experience pain and redness around the injection sites, which subsides in a couple of days. In three to ten days after the treatment you will begin to see results. Most often, the results will last at least 3 months, at which point you will need follow-up injections. Piney Point Oral and Maxillofacial Surgery is specially trained to provide the injections to our patients. Through extensive training, knowledge, and experience, we safely and effectively offer the treatment for esthetic purposes. We can even incorporate the injections as part of your TMJ or bruxism treatments. If you’re interested in benefiting from Botox, call our office at (832) 924-3799 to schedule a consultation.